From your international flight to Belize, you have two options to get to Placencia. One is by air with either Tropic Air or Maya Island Air, multiple flights a day from Belize City to Placencia. Connections are easy and very efficient. You can also either rent a car or arrange a van service to drive the 3 hours from Belize City to Placencia. This is a beautiful way to see a lot of the country. What is the exchange rate? Are there ATM’s available? Can I use credit cards? The exchange rate is 2 Belize Dollars to 1 US Dollar. There are ATM’s available in the village. Major credit cards are accepted at many establishments but it is always good arrive in the country with some US cash. There are a lot of tour companies, restaurants and bars that are cash only however. US cash dollars are accepted (without tears or markings on them) and you will get Belize dollars with your change. I would like to do other things in Belize before and after the music days. How can I arrange this? There are lots of options – diving and snorkel excursions or visit a Mayan temple or explore the jungle. This can be arranged through the hotel where you are staying. We suggest you come early or stay later. 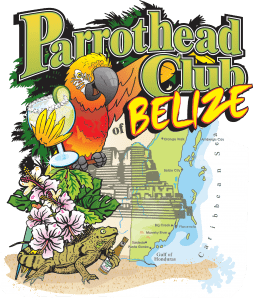 Then you can explore more of Belize around the dates of the Parrothead Beach Bash – Belize!